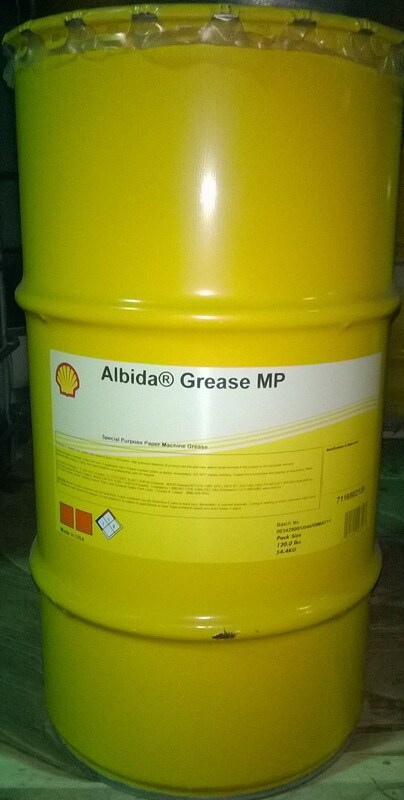 Shell Albida® Grease MP 1 is a lithium complex grease containing an ISO 460 base oil and special additives to provide outstanding load carrying and water resistance properties. Shell Albida® Grease MP 1 is intended for use in heavily loaded equipment operating under adverse conditions. It is especially suitable for grease lubricated bearings on paper machines where its outstanding water resistance characteristics, EP properties, oxidation stability, high dropping point and corrosion resistance eliminate the need for separate greases in the machine’s wet end and felt roll bearings. It will also lubricate highly loaded bearings in the press section. 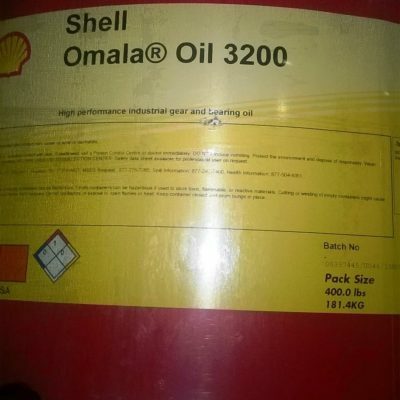 The performance characteristics of Shell Albida® Grease MP 1 which made it successful in the paper making industry have also enabled it to be used successfully in the steel industry. The product performs well in roll neck bearings using both sealed and automatic lubrication systems. The outstanding combination of load-carrying ability and water resistance makes Shell Albida® Grease MP 1 an excellent product for the “buddy bearings” commonly found on boat trailer wheels. 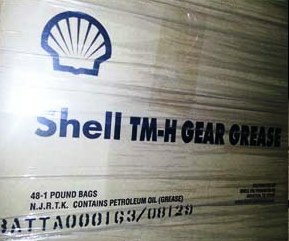 Shell Albida® Grease MP 1 is one of the most highly water resistant greases in the Shell grease line. In centralized systems, appropriate heavy-duty equipment is required for handling Shell Albida® Grease MP 1 because of its heavy base oil and polymer combination. Maintaining a clean work environment is critical when equipment greasing is performed. Grease fittings should be wiped clean prior to grease injection to prevent contaminants from entering the equipment. Bearing housing should be maintained one-third to one-half full of grease. Over-greasing should be avoided as excessive heat build-up can result. Periodic relubrication via grease gun or centralized system should be supplemented by complete cleaning and packing with fresh grease on an appropriate schedule. 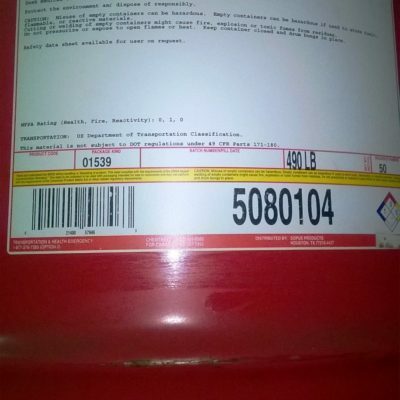 Shell greases are available with drum liners to facilitate container disposal.